Tackle the Adirondack's High Peaks with confidence with the Adirondack Mountain Club's High Peaks Trail Guide Map Pack. 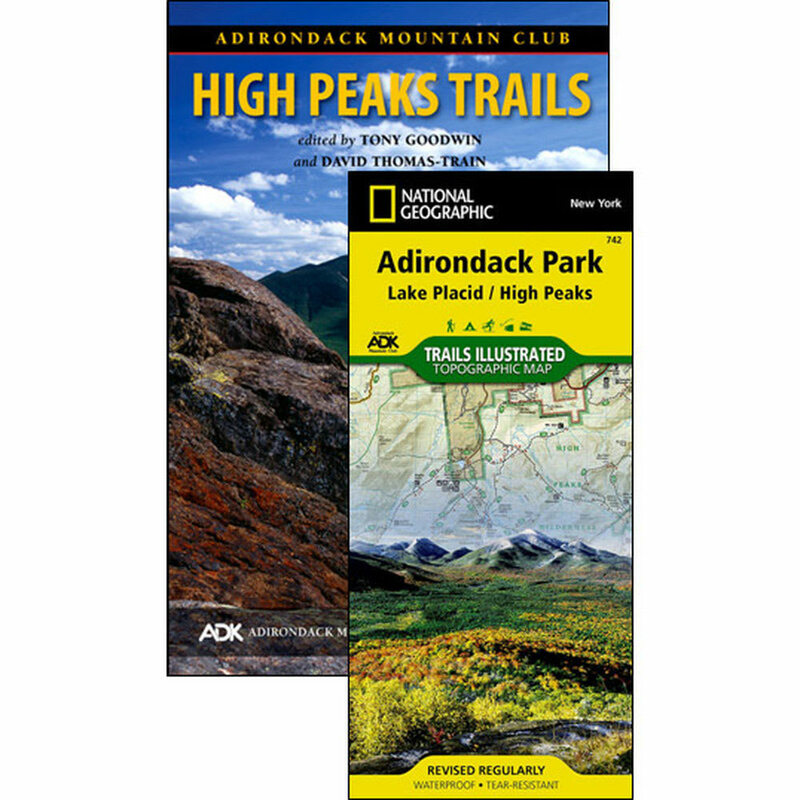 This pack includes the High Peaks Trails guide book and National Geographic Adirondack Park map. ~ 8.5 x 5.5 x 0.6 in.